The manufacturing industry has a high number of work-related fatalities, injuries and illnesses. From 2003 to 2015, manufacturing had the fourth highest proportion of fatalities according to industry type, representing 9% (275) of all worker fatalities. Particularly concerning was that young workers (15–24 year olds) in the manufacturing industry recorded an injury rate 44% higher than young workers in the Australian workforce as a whole. View the Manufacturing: Priority industry snapshot for an overview of the industry and its WHS performance. working with dangerous machinery and equipment. Body stressing represented 41% of workers’ compensation claims. Many of these were due to muscular stress while lifting, carrying, or putting down crates/boxes, barrels and other containers as well as handling metal products. Being hit by moving objects accounted for 18% of claims. More than half of these involved materials, substances and equipment falling or moving into the worker’s path. Falls, trips and slips accounted for 15% of claims. Most involved stairs or falling over objects in traffic areas. 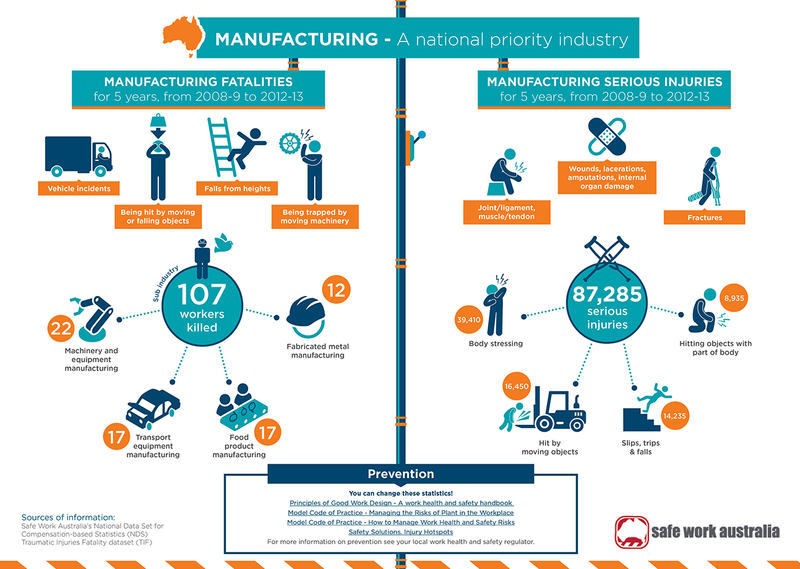 The Australian Work Health and Safety Strategy 2012–2022 has identified the manufacturing industry as a priority to reduce fatalities due to the high number and rate of work-related injuries and illnesses. For a number of years the manufacturing industry has consistently been among the top few industries with the highest number of serious claims. 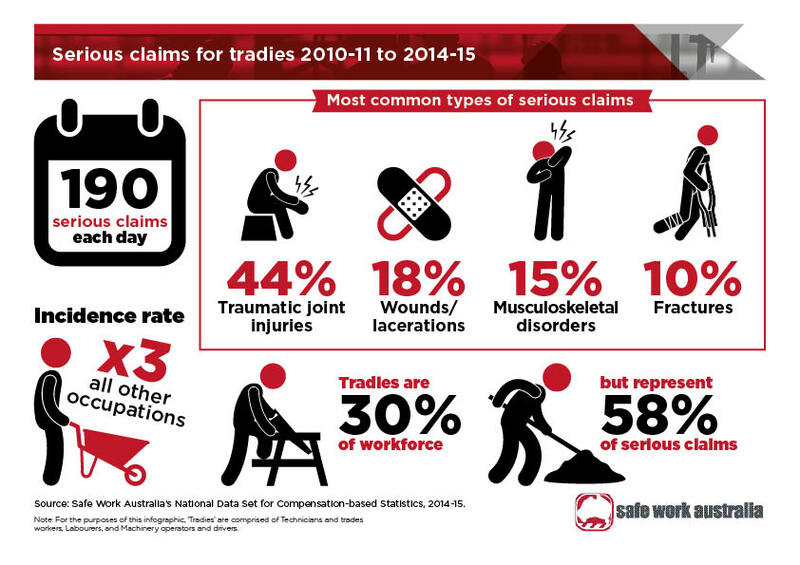 Since 2006–07, it has had the third highest incidence rate of serious claims of all industries. The Strategy aims to reduce the incidence of serious injury by at least 30% by 2022, and reduce the number of work-related fatalities due to injury by at least 20%. The manufacturing industry will play a critical role in meeting these targets. SWA is not a regulator and cannot advise you about work health and safety compliance in the manufacturing industry. If you need help, please contact your state or territory work health and safety authority. When it comes to work health and safety, Facilities Manager Andrew Brewer focuses on education and continual improvement. What does work health and safety mean to you? See how Mars Petcare Australia has incorporated health and safety into their everyday work practices in the Wodonga factory.